Communication plays a critical role in healthcare. 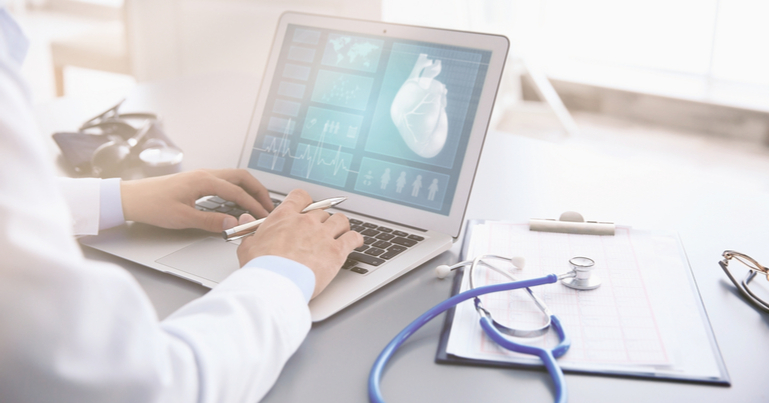 Besides ensuring patients are in-the-know, organizations in the medical and healthcare industry must also nurture relationships with current and prospective patients. At the same time, their practice should provide value. Turning to email marketing is one great way to improve patient communication. For one, email marketing is an inexpensive yet highly effective tool to communicate regularly with every patient and subscriber - who could be a potential patient - at the right time. We live in a world where information is right in our fingertips. It’s important for medical and healthcare organizations to feed our “information-first” society with educational and relevant content through digital media. Doing so will keep your organization top of mind when someone needs something health-related. A healthcare digital marketing strategy that creates awareness, reaches an audience and delivers value will take your organization to new heights. And email marketing should be a part of that strategy. It’s no question that digital media helps you develop better relationships with your audience. Email marketing, in particular, provides a direct line of communication to your existing patients and makes it easy to reach potential customers, too. According to Healthcare Success, a large percentage of American adults rely on email as their choice for immediate - anytime and any place - communications. Using email as a communication and marketing tactic in the field of healthcare benefits both organizations and practitioners. A hospital’s patient communications can go beyond transactional emails. Hospitals and medical facilities can utilize email to promote new products or services and send appointment reminders automatically, among others. Moreover, doctors, medical personnel, and healthcare marketers can optimize email to promote their practice and services by sending health-related bulletins, advisories, and alerts. In fact, more than 90 percent of adults would prefer a doctor’s office that provides email communications. The statistics mentioned illustrate how email marketing remains alive and well, even in the medical and healthcare field. Here are ways on how you can utilize the power of email marketing to improve your organization and grow your practice. Use a compelling subject line and a strong call-to-action. When your email lands in your customer’s inbox, the first thing that would matter is the subject line. Having the correct subject line is crucial in the recipient’s decision-making process - should she open and read your email or should she dump it the spam folder? The latter is something you wouldn’t want to happen. The subject line should be specific enough to catch the attention. At the same time, it should appeal to the recipient to trigger an open. And it doesn’t end there. Your email should be concise yet structured in a way that lets the reader understand what to do next. The call-to-action should be strong and clear to help the customer reach the described destination. Create newsletters with relevant and educational content. The inbox is typically bombarded with hundreds of sales pitch and promotional emails daily, which can annoy subscribers and make them opt out. That’s why it’s important to send informative and benefit-driven content. Reinforce your credibility and earn your patient’s trust by sending useful and helpful emails. Send newsletters that discuss the latest health news, patient treatment options, wellness tips, new developments in your products or services, general information on health-related matters, the list goes on. Your customers are more likely to open and read your emails when it inspires them and offers a solution to their needs. A part of Elysium Health Inc.’s newsletter talks about a new research initiative they’ve done. 3. Sharpen segmentation to offer dynamically personalized emails. Segmenting email list into specific groups can improve your bottom line. Doing so helps increase revenue, generate better engagement, and provide dynamic content. Audience segmentation lets you send content according to your subscribers’ specific preferences, thus making the content more dynamic and personalized. Providing dynamic content is good because it helps you build stronger relationships with your audience. Segment your audience by age, gender, marital status, location, and so on. Then start breaking your segmented lists into smaller groups to further define targeted healthcare audiences. This way, you can better personalize your healthcare message based on consumer data and specific interests. 4. Think mobile for smarter email marketing. The use of mobile to stay in touch and access online accounts is on a constant rise. 53% of emails are actually opened on mobile devices. That means even if a consumer doesn’t search for healthcare services frequently, they can still find you whenever they need to. Optimizing mobile can help you reach more people on-the-go. Integrate mobile-friendly campaigns into your healthcare email marketing strategy to see better results. Make sure your design is responsive and your content could be easily viewed or scrolled. Maximize the quality of your design and content attributes to make your emails convenient for the audience. This can help increase direct sales, lead generation, and revenue opportunities. Check out this mobile-optimized email from iFit Nourish. The subject line is clear, the copy is on-point, plus they integrated a GIF to make it more appealing. 5. Build a benchmark to measure your progress and success. Base your healthcare email marketing strategy on a benchmark to assess its progress. However, using traditional industry benchmarks isn’t advisable since specific industries have differing variables. Instead, create a set of standards based on the healthcare industry and your previous and future email marketing communications. Building your own specific benchmarks will help you evaluate your performance in the field of healthcare. Not to mention, you also get to compare future emails and programs with your audience and marketing tactics as a reference. Email marketing is one strong option to include in your healthcare marketing strategy. The cost is relatively low yet the rate of return can be exceptionally high. However, achieving success isn’t as easy as it seems. Applying email marketing best practices can help your organization communicate effectively and deliver timely, relevant messages. Use these as your guide in building audience engagement and strengthening your position in the industry.